Mrs. Virginia Moxley Anderson, age 77, of 1133 Windy Bluff Drive, Minneola, FL, and formerly of Axton, VA, died in Leesburg, Fl. on April 12 , 2019. Born September 2, 1941, she was the daughter of the late Richard and Alma Moxley. She was married to William Wade Anderson, Sr. who also predeceased her. Mrs. Anderson is survived by her children, William Wade Anderson, Jr., and Lori Anderson Watt; grandchildren, William Wade Anderson, III, Joshua Anderson, Michael Watt, Jenni Watt, Timothy Watt and Kelsie Watt; great-grandchildren, Hudson Watt, Levi Watt, Silas Watt, Reuben Watt, Caspian Watt, Adeline Simons, and Alison Simons; son-in-law, Duane Watt; daughter-in-law Debra Anderson- Bates; granddaughter-in-law, Jennie L. Watt, and grandson-in-law, Jared Simons. 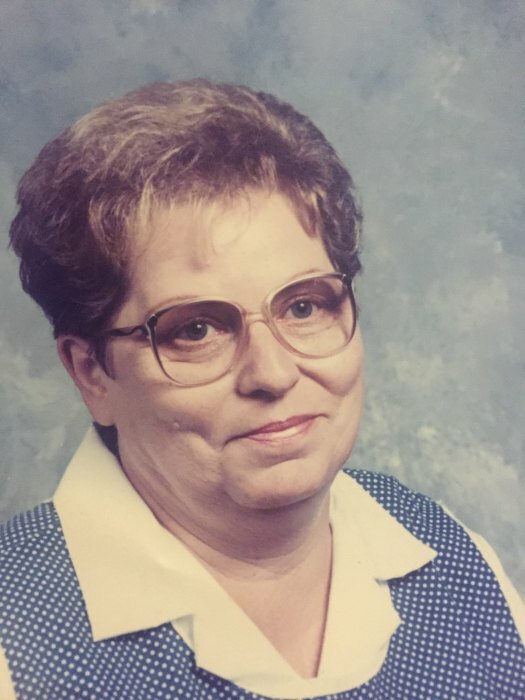 Funeral services for Mrs. Anderson will be held at 11:00 a.m. on Thursday, April 18, 2019 at Barker Funeral Home Chapel with interment to follow at Floral Hills Memory Gardens. The family will receive friends at Barker Chapel on Wednesday, April 17, 2019 from 7:00 – 8:30 p.m.
Barker Funeral Home is respectfully serving the Anderson family.